Trend Alert: SS12 is made for the 1920s Great Gatsby fanatics...it's time to invest in some glamour my darlings! 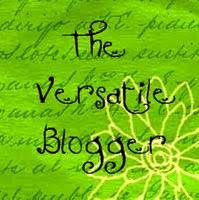 Thank you so much to the kind Karen from shinigami-u-openingmymind for the Versatile Blogger Award! Apologies for the delay of this post as it has taken a while for me to plough through the mass of blogs that I follow. As part of the acceptance of this award I am required to disclose 7 facts about myself and then pass the award on to other fellow bloggers. London HOT-SPOTS: Miss Ama's Birthday at the Dorsia (London)! Some of you who are familiar with the club scene in London may have heard about the Dorsia in South Kensington. So to celebrate our dear friend Miss Ama's birthday we decided to head to the Dorsia for a night of dancing in style! Shanghai 1930s inspired hair....the Marcel Wave Up-do! It has been a busy week, but as promised in the previous post....here is a quick recap on how I created the Marcel Wave Up-do for my Shanghai 1930s party! ~LookS: Shanghai Shanghai at McQueen....its the 1930s! The theme for the night was Shanghai 1930s, the purpose was to celebrate Chinese New Year of the Dragon with my lovely friends and the place I picked was McQueen in trendy Shoreditch of London! But the dress of course is one of the new Qi Pao I added to my collection for the new year, whilst the hair is my version of the 1930s Marcel Wave or finger wave with pin curls framing the sides and a swirl bun-like up do at the back (more on the hair in the next post).